So, we can’t decide on a snippet at all. (Below the header and just below “Zidi Publishing” is what I’m calling the snippet.) Yesterday it was the Lizard Down the Shirt quote, and today it’s No Monkeys in Kiev. Not really happy with either one. There is one thing we can already say about this book: it’s resistant to being taken out of context. We’re almost decided on a title, which means we’re almost decided on a cover idea. 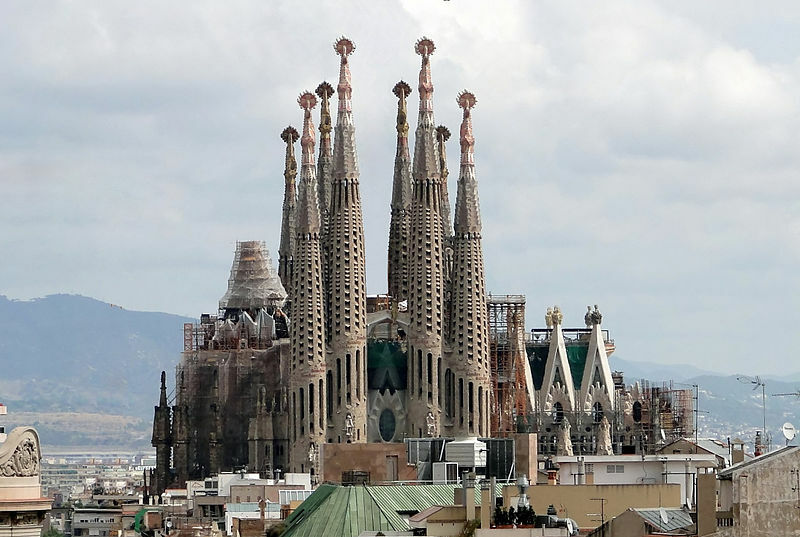 One of the possible titles mentions spires, hence the Sagrada Familia in Barcelona. For those of you who don’t know of the church, it is Antoni Gaudí’s most famous work. Its construction is funded with private donations, so it is still unfinished, in spite of 130 years of building. The author found a stellar image via Google and we have already sent out an email asking to negotiate usage on the book cover. The picture below comes from Wikipedia and is not the image I’m talking about. Fingers crossed!